Years ago, Bill McKibben suggested that climate change would be the end of nature. More recently, Elizabeth Kolbert has argued that the Sixth Extinction means the end of nature as we know it. Yet other scholars have argued that the term “nature” is not helpful—humans have always been modifying the world in which we live. And in The Collapse of Western Civilization, Erik Conway and Naomi Oreskes argue that liberal democracy is at stake as well. 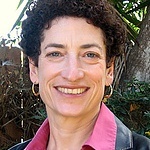 In her talk, Naomi Oreskes, Professor of the History of Science at Harvard University, explores these issues, and suggest that however we look at it, unless we rapidly address climate change, we will be living in a world that is deeply impoverished, biologically, materially, and politically. This event is sponsored by the Baker-Nord Center for the Humanities.